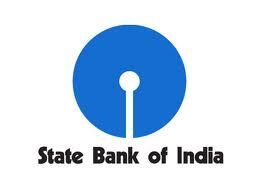 State bank of India is going to recruit more than 5000 clerk / assistant jobs in this fiscal year. SBI Clerk Recruitment 2015 will be announced shortly on its official website www.sbi.co.in under the career section. Here is the good news for all the aspirants who are preparing for the State bank of India Clerical Exam 2015. It might be possible that SBI will announce the big bumper vacancies of Bank Clerks to fill the vacancies of clerical staff in various state bank branches across the country. After the Modi Govt. launched the Digital India Campaign, SBI is thinking to boost its branches and online presence i.e. Internet banking and Mobile Banking facilities. To handle these online facilities, it requires a big staff for which SBI Clerk Recruitment 2015 will be announced soon. “SBI plans to hire 2,000 probationary officers this fiscal while 500-1,000 people will be taken on as contractual staff. It will also recruit 5,000 assistants. “With digital banking being the focus, candidates should have sparks for Internet banking,” an official said. More details about SBI clerk recruitment 2015 and other employees salary hike issues are available on Economics Times.